RUSH: Here we go again. Looky here, this is BuzzFeed. “Midwestern Democrats Want The National Party To Stop The Trump-Russia Talk — ‘The only ones who want to do this are Democratic activists who are already voting Democratic. '” That’s a subheadline. Why do you think that might be? Why do you think even some Democrat voters might be turned off by this? Because there’s nothing there. They have been beaten upside the head. They have been beaten over the head for a year and a half that Trump was in collusion with Russia! There isn’t any evidence! People are fed up with it. Doesn’t matter. It doesn’t matter. The left doesn’t care who gets mad, who gets destroyed, who gets harmed. It doesn’t matter. But local Democrats are begging the national people to get off of this! And Dingy Harry stepped out of his retirement coffin, said, “Stop all this impeachment talk.” A number of Democrats, “Please stop this the impeachment talk. There isn’t an impeachable offense yet!” Does that even matter? The media says there is. The media says Trump’s presidency is impeachable because Trump won! That is such an affront to everybody’s sensibilities. 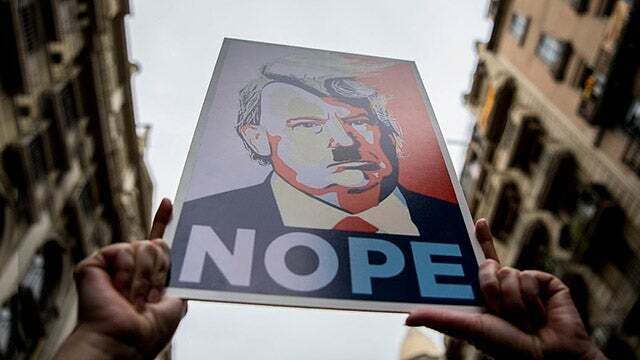 Trump is instantly impeachable because he won, because it was unexpected, because somebody like that just can’t be president, not in our world. There’s no rational thinking to this. And there’s no reason to it. And to try to analyze it and understand it in those terms would be a failure. But the people that have to win elections are starting to get nervous, and they’re not seeing a big blue wave if these national leftist freaks don’t start shutting up. Bingo! Now, two things about this. I think it dovetails with the internal polling of the Democrat Party. We’ve been chronicling with you for the past week how Democrats are urging candidates to get off of this, to stop talking about it, and it had to be because their internal polling numbers on this were so bad. The Mueller investigation… We know it’s also bombed out because they’ve now gone on to the Cohen. They’re going any direction they can. They can’t find evidence of Trump collusion. My friends, it was never about that. I want you to hear me. It was never about proving that Trump colluded. Now, some of these people… It’s a toughie here, because some of these people on the left may be deranged enough to actually think that Trump colluded and cheated and that’s why they lost. But there are enough radical leftists who know the truth here. It was Hillary that colluded, producing an opposition research document. They got a FISA warrant. 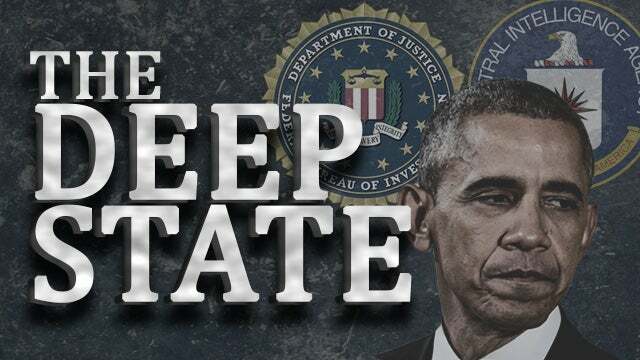 Everybody’s known that the Obama DOJ, FBI, CIA has been doing everything it can to stop Trump’s election, to make sure Hillary got elected for a number of reasons. A, to shield Obama from any legal action that might take place, by shielding Hillary from any legal action. But the fact is there hasn’t been any evidence. There isn’t gonna be any evidence. It’s all been a gigantic effort to move public opinion on Trump down. They wanted his approval numbers in the thirties, and if they can get it into the high twenties, that would be nirvana. Because when that happens, they can get rid of Trump. You cannot force a president out of office unless the American people want him gone, and they had to make the American people want Trump gone. They have failed in every attempt they have made to do this. But the danger is… In addition to what they’re doing, the danger is what they are destroying in the process — and how at each juncture they fail, they mount a new assault that corrupts a new area, a new line of attack. They are leaving a trail of destruction throughout our politics and our culture and our society. And I worry, where does this stop? Because it isn’t going to stop. I don’t care what happens in the midterms. If the Republicans hold the House or if the Democrats take it, this effort is not going to stop. It is going to continue. They simply cannot abide Donald Trump in the White House. Even if what they do dooms their electoral chances in 2020, they still will not stop. Don’t tell Steve Scalise that the resistance hasn’t yet gotten violent, because it has in a couple of key three or four places. So more Americans are waking up and seeing that Mueller hasn’t produced anything, that there isn’t any evidence — and you can totally understand this. Because the American people have gotten up every day, and they have literally been beat up upside the head, on top of the head five, 10, 25 minutes a day. News story after news story after news story after panel discussion after panel discussion after analyst after expert assure them that Donald Trump colluded.